“Don’t hate on us. 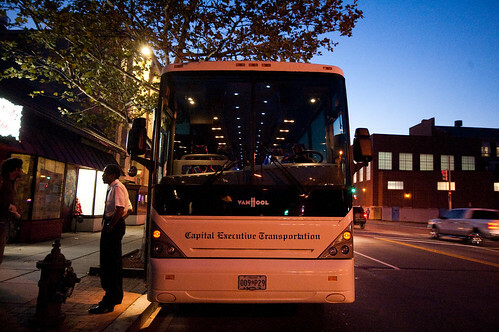 Don’t hate just because we might be cool or choose to live in a creative, vibrant neighborhood,” implores Shalonda Hunter, founder of The Know It Express a new bus service between Brooklyn and DC. You might have heard it casually called “the hipster bus” – but it’s owner has a more inclusive, positive concept. New York and Washington have always had a complicated relationship. Our northern neighbor has an undeniable magnetism – particularly for the young and creative – and the corridor bustles with transit between the cities. The Know it Express aims to make it just a little bit easier to go visit your friends who made the possibly crazy, possibly awesome decision to move to Brooklyn to be full-time musician/baristas and for them to get back home to DC for Thanksgiving with the family and remember how nice it is to be, say, a part-time musician/barista/non-profit employee instead. For many Washingtonians, Brooklyn is the natural landing spot when they decide to migrate. The scale, walkabilty, and streetscape feels more like home than Manhattan. My friends seem to have mostly gathered around Greenpoint lately, but the brownstone of my own dreams happens to be in Fort Greene. I found it one day on a walk to one of my favorite shopping stops, the Brooklyn Flea. Their outdoor market is nearby; they hold their Sunday indoor market just a short bike ride away – right at your door when you arrive on The Know It Express. The bus, which has abandoned a previously-announced layover in Manhattan and now goes straight to Brooklyn from their U Street Metro pick-up point, drops off at the Atlantic Terminal at 4th and Flatbush, near the iconic art deco Willamsburgh Savings Bank Tower building. If you snag one of the five bike-storage spaces on the bus (soon to be available for reservation at the time of advance ticket sales in order to avoid over-bike-booking) the borough will be particularly your oyster. Perhaps a delicious post-bus cappuccino at the Greenpoint Cafe Grumpy, lunch at Five Leaves, followed by a stop at the terrifically-edited and charmingly-staffed Sound Fix. Later, make sure to go for beer and pickles at my beloved Spuyten Duyvil in Williamsburg. 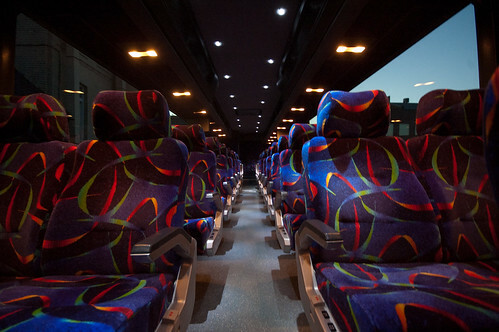 The 8:00am departure from Washington arrives around lunch time and the bus heads back home for DC at 5:30 each Friday, Saturday, Sunday, and Monday. No service is currently planned for mid-week. Wi-fi and in-seat power outlets are being rolled-out on the coaches, but will not be functional in time for the inaugural route on October 22nd. Otherwise, the bus is comfortable, new, and far more pleasant than the buses I took in China, which were themselves nicer than the Chinatown Bus. 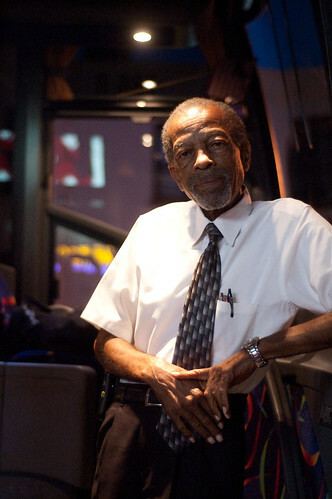 After extensive riding and experimenting with all the competing buses traveling the DC-NY route, Ms. Hunter concluded that dependability and service were the keys to happy customers. That nobody was going directly either to the U Street neighborhood or Brooklyn presented an valuable market as well. She wants to be available and in communication with riders – and has already shown her desire to accommodate by dropping the unpopular Manhattan stop. To celebrate this launch, The Know It Express has very generously offered a winning We Love DC reader a round-trip ticket for use anytime before November 1st, 2010. You could go up in the morning, do some lunch and shopping and come back that night or you can stay for a long weekend. That part is up to you. Whatever you decide, be sure to check out the various small businesses and tour operators in Brooklyn with whom The Know It has partnered to help show you around. To win, leave a comment below with your favorite book by a Park Slope Jonathan, best fictional Brooklyn indie band name, or a place I can get an NY-style bagel within the District (because, after writing this, I want one a lot). Entries will close noon on Monday, October 18 and a winner will be randomly selected. The winner will be notified by email. The winner must respond to our email within 24 hours or they will forfeit their ticket and we will pick another winner. Brittany has tried to leave DC, it just never lasts. She has lived in Chicago, California, and China – but she always comes back home. 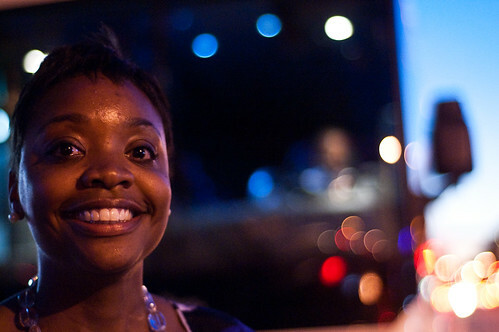 Brittany is a drinks, nightlife, and style correspondent for We Love DC. Between columns, you can find her on Twitter, Tumblr, or standing by the bar. Email her at brittany(at)welovedc.com. Great idea; hope it is a success. I used to live in Park Slope and would love to go back up via bus. Robert, You stole mine! I was going to pick Motherless Brooklyn because it highlights my old neighborhood (Cobble Hill/Carroll Gardens represent!). Also, I would love it if someone could tell me where to get awesome pizza in DC. I’ve lived here 2 months and I’ve been afraid to try it down here. Thin crust and fresh mozzarella served with some BK wise-guy attitude, please! Their website still lists Manhattan as a stop – though I know from other blogs they’ve dropped that. Perhaps they aren’t quite ready to roll on Oct. 22 if they can’t a) decide where to stop, or b) make sure their website matches what they’re telling people. I actually kind of enjoyed The Disappointment Artist. But, whatever. The GW Deli at 22nd and G has a pretty darn good bagel and breakfast sandwich. Their hoagies are pretty good too! I hope Everything is Illuminated counts. He’s a Jonathan, after all! @Crystal Bae: Totally counts. An essential Park Slope Jonathan. So it isn’t in the district (College Park) and I didn’t go to UMD, but The Bagel Place on Route 1 has the best bagels around. Their everything bagel with jalapeno cream cheese or whitefish salad is heaven! And for good measure my favorite book by a Brooklyn Jonathan was actually written by Jonathan’s wife Nicole Krauss “The History of Love” although I’m sure he played a part in it. So excited for this line since I live near U and my partner lives in Park Slope. i like bagel city in rockville–takes me back to my long island days, in a good way. Bethesda Bagels are the only good bagels in DC. Bagel Place in college park is pretty acceptable too. Still following comments for a NY-style bagel “in the District.” Wish I had one right now. Can’t beat Loeb’s Deli on 15h St for bagel sandwiches!! “Extremely Loud and Incredibly Close” (but definitely not the self-satisfied “Eating Animals”). Also, Brooklyn Bagel in Court House is delicious and worth the trip. I lived in Park Slope, my son attended Berkely Carroll Street School for kindergarten (which he has great memories of). I would name a band the The Toy Band after the Toy Bar on 8th Ave. I’m not sure if that is the real name, but if you have been there, you know why it has this nick name. Brooklyn Bagel in Court House is the closest you’ll get to a NY bagel. Just don’t get your hopes up too much… Seems like a potential void that a culinary food truck could potentially fill in? @Jessica: I’ve been on a Flippin Pizza kick lately. I frequent the Hanover location (across from Arundel Mills), during Lunch. The only DC location is in Dupont Circle (Connecticut Avenue). Brittany has tried to leave DC, it just never lasts. She has lived in Chicago, California, and China - but she always comes back home. Brittany is a drinks, nightlife, and style correspondent for We Love DC. Between columns, you can find her on Twitter, Tumblr, or standing by the bar. Email her at brittany(at)welovedc.com.